All rights reserved. Duplication is prohibited without written authorized consent from the author. 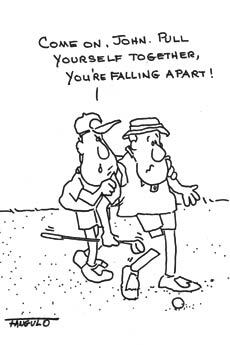 All drawings are part of my own ever growing collection of golf cartoons. They will only appear here on this website. The cartoons will have a limited showing. Once updated, they will not be featured again. Enjoy these BOOKS knowing that you are purchasing from the largest book store in the world.